Dogs are very curious by nature. They always like to investigate and check things out, even if it has nothing to do with them! They have a keen sense of smell, so they like sniffing about and discovering things. They are also incredibly playful and love having fun. They love to make their master happy and proud of them. 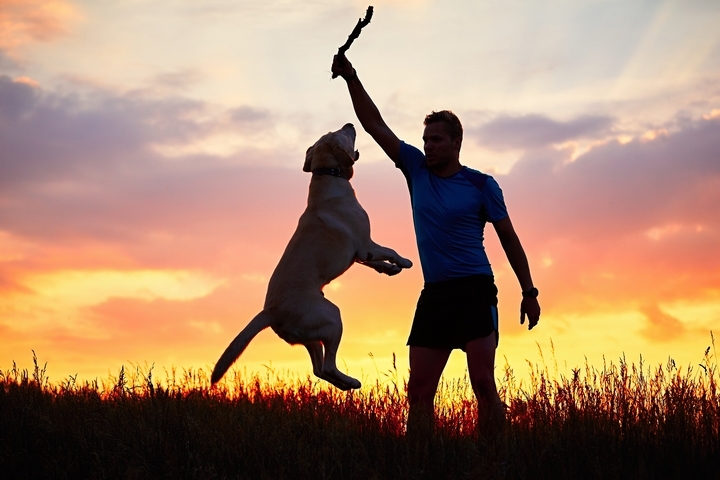 You can get some really great dog toys to take advantage of some of these traits. Buy dog toys wisely. 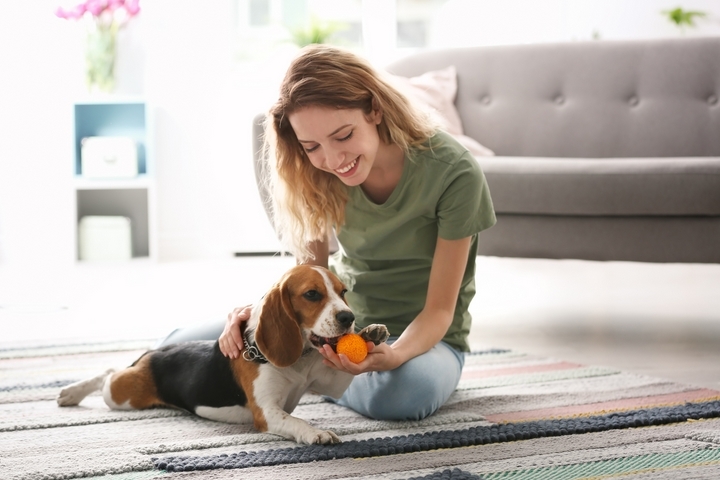 You want your dog to be safe and you may also want to supervise when they play with their toys. 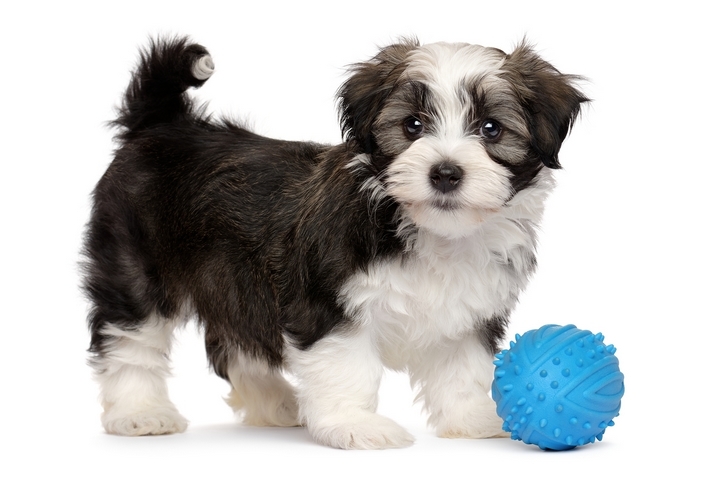 Let’s take a look at how to choose great toys for your best friend. You need to keep the size of the toy in mind. Let’s use a ball as a simple example. If the ball is too large, they can’t get their mouth around it. If it is too small, with a bit of bad luck, it could go down the wrong way and suffocate them. The toy you get is dependent on the size of your dog. Even when you buy the right toy, many of these come with string or ribbons and other parts that can be chewed and swallowed. Remove these and look for other parts to remove to ‘dog-proof’ it, making it safer. What dog can resist a squeaky toy? Have you ever seen the face of a dog when you first hide a squeaky toy behind your back and make it squeak? Their faces immediately freeze and they have a mesmerized look on their faces. It is so very precious! Squeaky toys are great for dogs because they have a lot of fun with it. It does get noisy for you though! However, here’s the thing with a squeaky toy. There are dogs that will rip the toy (eventually) and get to the source (the plastic squeaker) and this is when you need to be careful and supervise. They will chew on this, so take it away and discard it. You don’t want bits of plastic being ingested. Those rawhide chews can keep your dog busy chewing on that for hours. When chewed, parts of it become soft and though it is OK for it to be swallowed, it can get stuck as well. They also stink! Again, if you do give this to them, stay nearby to keep an eye. There are some great interactive dog treat toys that your dog will find fun and stimulating. These are the ones where you can hide treats in them. They will try for hours to get at treats! You can even use peanut butter. 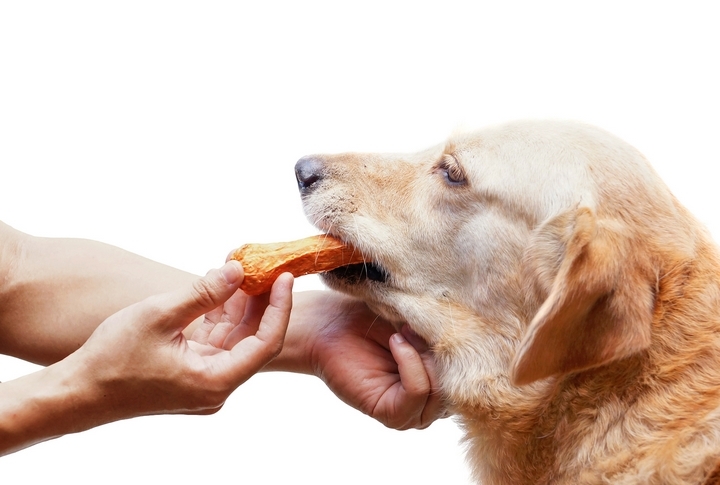 While peanut butter is alright to give to dogs (in moderation, of course), check with your vet first. If your dog has health issues, then be a little careful, especially with the sodium levels. 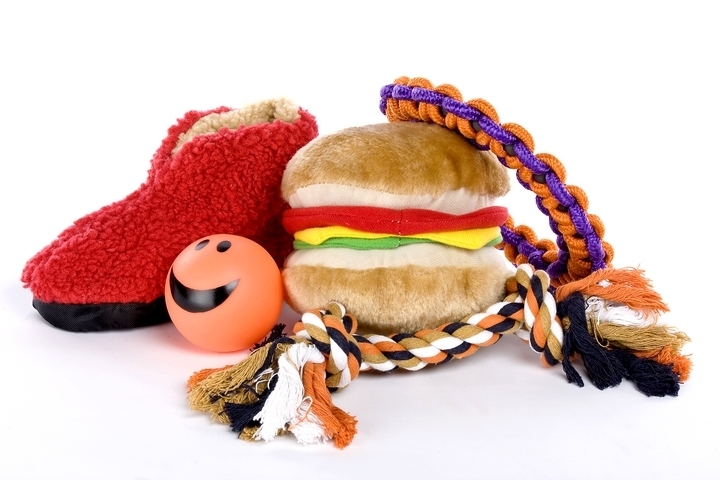 Try choosing dog toys with safety in mind. At the same time, it is advisable to be present to occasionally glance their way to see if everything is fine. Get mind-stimulating toys in addition to toys where your dogs or your puppies can have fun as well.